I stayed in C S Lewis' house near Oxford and apparently he and Tolkien used to meet. There's a wood at the back of the house which was very spooky and you can see where they got their inspiration. Nice artwork. I like this. Excellent artwork. And cute. This is very imaginative. Not sure I would like to come across this one in the dark. Mind you, she looks busy. I enjoyed this and would recommend it. Reminds me of the game - assassin's creed. Not that I play it of course, but my son does. Charecterisation is good and it's quite brutal at times. Good plot with plenty of suspense. 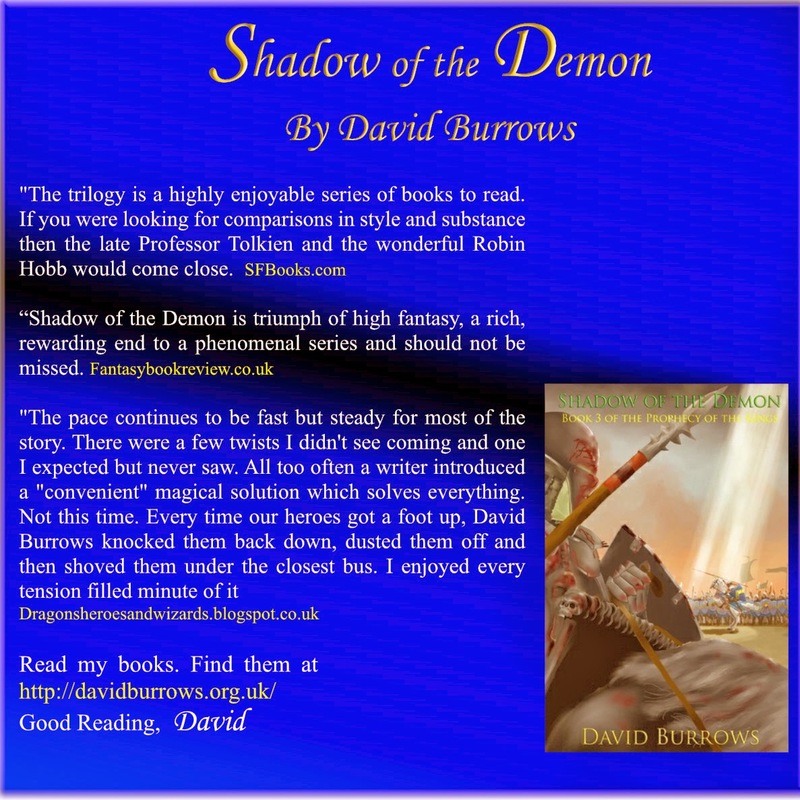 Great fantasy Read. Recommended. Check it out here. Excellent book with some very novel creatures, Souleaters. Very good characterisation with Magister Colivar heading up a strong cast. Kamala is a great introduction and breaks all the rules. Lots of intrigue and plots. it's a complete story in a novel with enough remaining for a follow up tale. Good in depth history behind the tale. Good read! Check this out and see which villain you are.. Listen to the song. Well worth it. 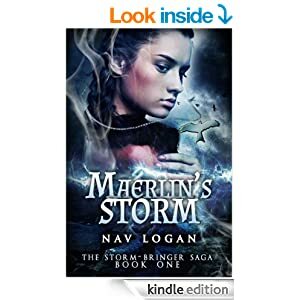 I enjoyed Nav Logan's foray into fantasy. Good imagination and characterisation. I particularly liked Cull and the Beggar King as a concept. Cull was a slightly nonchalant figure, but with a powerful presence. The other characters blend well and make for an interesting story. Nicely written and the plot comes together for a fast action ending. Some neat ideas and I liked the shape shifting and the way that was used. Good début novel. 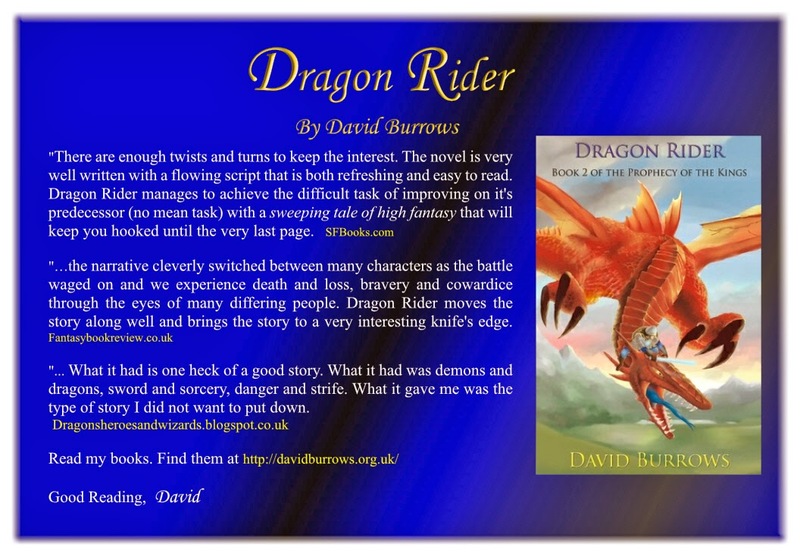 "This is a book that slowly builds into a great epic tale of adventure. Like a good stew, it takes time for the full flavour to be revealed but it is well worth the wait. It builds and builds as the story is revealed until it becomes a masterful piece of fantasy. It is a long read, but well worth the effort and you will be well rewarded for your perseverance. I know I was. In particular, I loved the dark psyche of the dragons, which was very cleverly thought out and presented within the second part of the story. 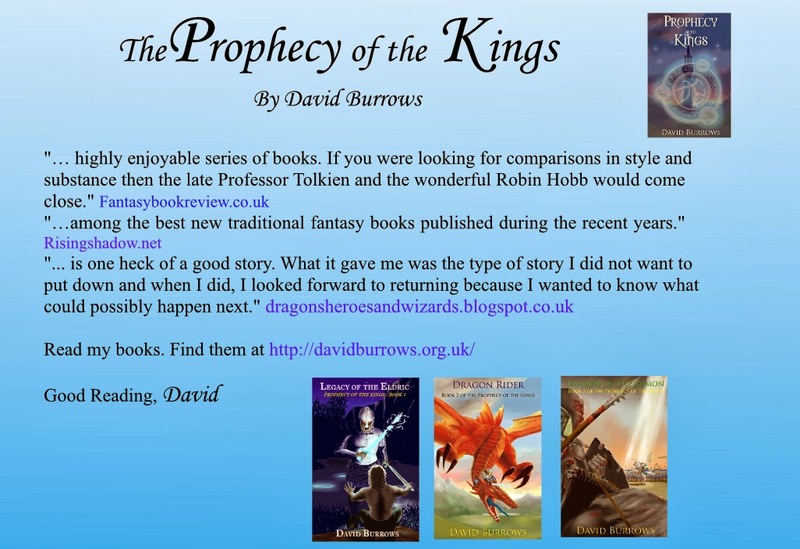 By the time you get to the third book of the trilogy, where you are transported into the realms of hell and fight demons, as well as feasting with dwarves, and many other adventures, the tale has you well and truly hooked, and there is no getting off until the final, explosive finale. Brilliant read." The interesting thing about fantasy art is imagining the story behind the artwork. I think this tale is particularly dark. Very vivid imagination. 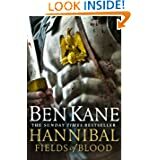 This book didn't have the same impact as the Hannibal series, which I really enjoyed and would recommend. It was a good tale nonetheless, but the characterisation seemed to be lacking compared to Hannibal. This is a series and I will get the next books. I enjoy the Spartacus legend. It's a shame there is little written about him, just enough to make author's tales tantalising. I was very taken by the TV series. The first series was too much in the style of 300 but the following series told a better tale and had less visual stylisation, which for historical programmes is a blessing. Terrific series and brilliant ending. Well worth watching but needs the 18 certificate. Sorcerer. Wow. What to say. Definitely not wizards and never accuse a sorcerer of being a wizard. They use elementals as their source of power, that is until Drachar discovers the demon world, then the proverbial cat is amongst the pigeons. They may use a kara-stone but to them it is an interesting bauble rather than a source of power. It takes courage being a sorcerer. 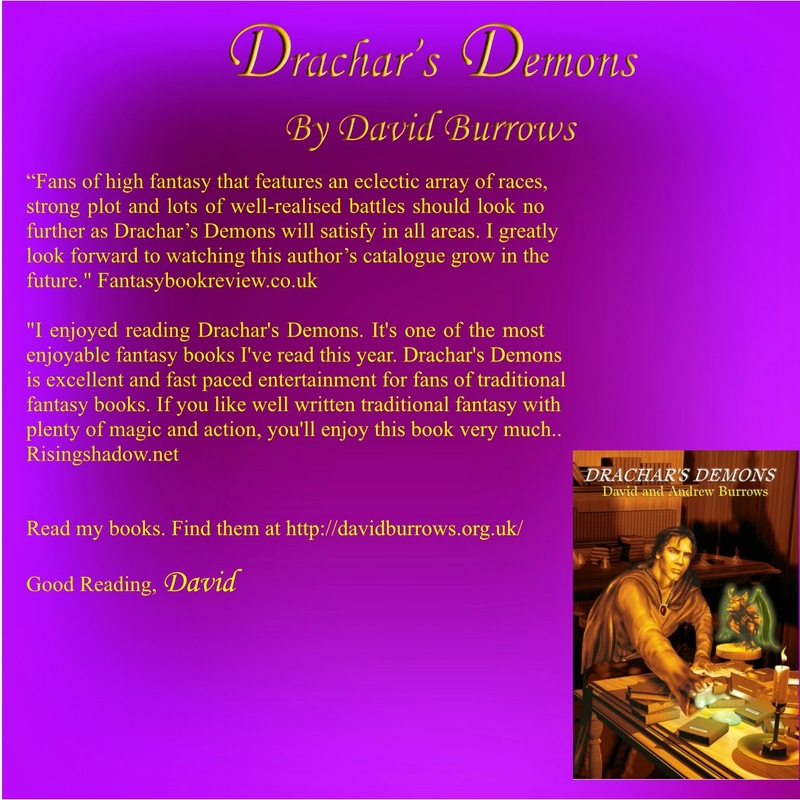 Summoning demons is not without danger! Wizard. Often frustrated that their power is so limited. Magic is within them, like having a well within which magic can be filled. The well is incomplete and magic slowly seeps from it. If a wizard finds a kara-stone, then it’s a different story. Kara-stones can also contain magic, but much more than any individual. Is a wizard with a kara-stone equal in power to a sorcerer. That’s not a wise question to raise out loud and is likely to result in a bloodbath. I was officially told I can't touch pregnant women or 5 year olds today. Strange advice you may wonder. Well I'm slightly radioactive today after hospital treatment. I was rather disappointed that I didn't turn into spider Man. Perhaps next time. I keep turning the light off to see if I glow in the dark. Very good sequel and I'm looking forward to the next book. 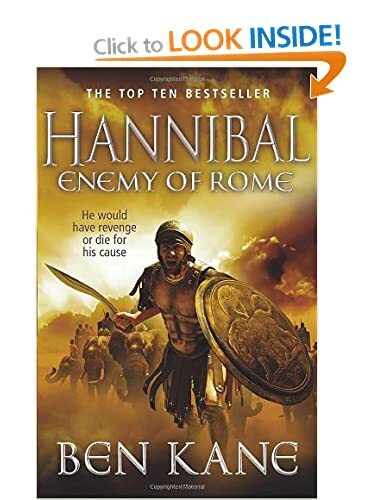 Hannibal comes across as a military genius which given what he accomplished has to be spot on. The central character, Hanno, is believable and not the super hero you might expect. There's just the right amount of reining him in and letting him make mistakes to make it more believable. The battles are terrific. Good read and better than his other books in my opinion. This was one of Ben Kane's better works. Generally I have not always been impressed but this is worth the read. It's nicely written with some very good characterisation. the central character is good and he is certainly taken out of his comfort zone, which makes for an interesting read. The plot is lively with some good twists. It had the feel for the period and depicted Roman life well. Overall, a good read. The crisp cold air seared their lungs. Around the small party a thick layer of permafrost glistened in the dazzling rays of the sun, and it sparkled with the intensity of a rolling sea of pearls. Snow glinted and stretched like a thick blanket for miles around and created an unnatural, oppressive silence. The splendour of the scene was lost on Forfar; he cursed as he crunched through the snow, glancing in apprehension at the darkening sky. The mountain climate changed regularly and swiftly, and he had no desire to be trapped in a snowstorm. He felt that his life had changed significantly, being an apprentice, and a friend of the renegade Salar. To be entrusted with this task was pleasing on the one hand but very scary on the other. He glanced back behind them to the swirling sheets of spiralling fog and sleet, a curious curtain of downpour. The thin curtain only existed for a few metres, making it all the more stranger, as to either side of the continual veil the sky was morphing and changing. At present, sleet fell from the dark sky, except in the ever- present strip a few feet behind them. Forfar didn’t like it; he was convinced it was a pathway to the underworld, but having emerged tentatively from it unscathed, he thought no more of it as they ascended the peak of the massive mountain. Forfar was accompanied by seven others, two were sorceresses, and the others sorcerers. 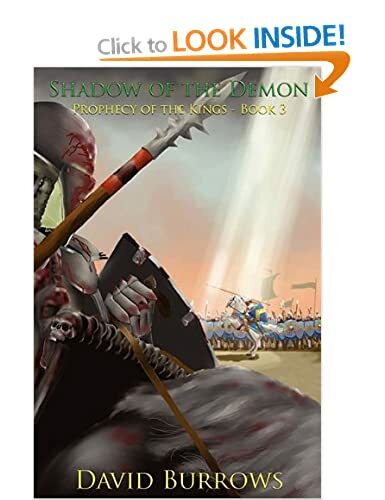 King Darwyl had tasked them with contacting the dragon world to see if they could expect aid; a monumental task that might help their war against the demons. But were dragons ally or foe? Others had discovered the dragon world, in their efforts to learn about the demons. If there was a demon world, they had speculated, then why not others. Forfar tried not to think too hard about the task. It scared him. He glanced behind at the others. Their ragged breaths emerged in quick, shallow bursts of vapour that trailed behind them in slivers of ice, like banners unfurled and streaming through the crystalline air. “What in the name of the Kalanth are we doing here?” Asked Shatha, her teeth chattered uncontrollably. She was leading the others, a young woman, tall and dark haired. Her eyes flashed her frustration as she struggled to breathe in the thin air. “But why on top of a mountain?” Shatha quizzed. The others had stopped and were listening. “Because we can only open a gateway to the dragon world briefly,” one of the other sorcerers chipped in. “In the cold, the gateway will stay open for longer, or so goes the theory. No one has tried this before don’t forget.” He rubbed his hands together, clearly cold even though his mitts looked thick. He wondered how deep the ice was beneath his feet. Forfar looked around. They were standing on a glacier not too far from BanKildor. That was the tallest mountain in the region. A frigid wind gusted from its peak chilling his cheeks. He pulled his cloak tighter about his shoulders. They had the spell committed to memory yet it took them a while to organize themselves, drawing the necessary runes in the snow. When the casting started, elementals were summoned; their small forms dancing within the confines of the runes as the power of the spell grew. The chanting voices soon vibrated the very air about them, the magic of sorcery expanding the words into entities of their own. A rift began to form above the circle of Eldric, and their shouts multiplied in fervour and astonishment. Whereas the rift to the demon world was always green and like a jagged tear in the fabric between the worlds, this was different, like looking through a giant lens. Forfar didn’t know what to expect. The spell was cast and the rift was open. It should hold longer here in the frozen domain. But, it would still close soon enough. What was he expecting? It could take days to contact a dragon, assuming contact could be made. They continued casting spells, seeking to keep the gateway open. An intake of breath from the others alerted him to something and glancing at the rift he saw a dark shape gliding upon thermals. Then he recognised a long serpentine body with gossamer thin wings, as the shape flew silently towards them. It was a dragon. He was amazed that one had found the rift so swiftly. Chanathan had said they might. A rift would be like a brazen alarm to anyone with magical abilities. Forfar could feel the rift’s presence strongly, and to his chagrin he could also tell that it was starting to close. He and the others stepped back as the dragon approached. It was going to make it through, but it would be close. Then the apparition was crawling through the rent in time and space. He caught sight of a huge red pupil, a large, heavy black claw, blue scales that glistened and gleamed as though with a life of their own, a blue dragon? His colleagues had only spoken about red dragons. Forfar fell to his knees as they sought to keep the gateway from collapsing for a few more seconds. The dragon itself seemed to help them and to their shock, the reflux of energy was morphed into a massive rent through the sky, sparkling and shining in radiant beauty. An explosion shook the mountain, tossing the Eldric through the snow like dolls, their heads ringing with ancient power. The rent glistened and shut swiftly, but not before the huge beast had flown through, and now it hung suspended in the freezing air, huge gossamer thin wings stretched to either side of its massive body, bulked with girth and powerful muscle, framed with scales of blue. Forfar had a sinking feeling. There was little or no intelligence behind the creature’s façade. Its keen gaze was more akin to a fox looking at its prey than a benefactor. Its red eyes stared at them madly then its maw opened, revealing large, serrated teeth that clashed and salivated. For a second there was silence, as the world appeared to freeze on its pivot. The Eldric stared back in an amalgamation of terror and awe at the huge beast, which appeared to be just as confused as they. The thermals in the air caused it to rise and fall like flotsam, and it shook in surprise, its rippling tendons straining and bulging. Then suddenly, with the speed of light, it whipped down, snatching a screaming body in its talons and expended a stream of burning, liquid flame over his face. The dying scream withered as the sorcerer’s flesh bubbled and his skin melted, his bones cracked into slivers and shards and his blackened corpse fell to the snow; shocking the other sorcerers into action. Everyone scattered. “Stop!” Forfar shouted at the dragon. But it was clear that the creature would not obey him. It seemed that dragons were mad, and not to be trusted. “Kill it!” Forfar shouted and immediately the others started to cast spells aimed at the dragon, summoning power through elementals and then imps. The mountain resonated to the sounds of explosions, the snow bucked and the mountains crumbled as a multitude of spells were tossed at the dragon. It screamed in fury and spiralled into the air, spewing vitriol and magma at the insects below. Forfar swiftly created a shield of magic around his companions and he gasped as they survived the first blanket of burning flame and licking acid, but the effort expended left him weak and trembling, and Forfar knew that he had to destroy the beast quickly. 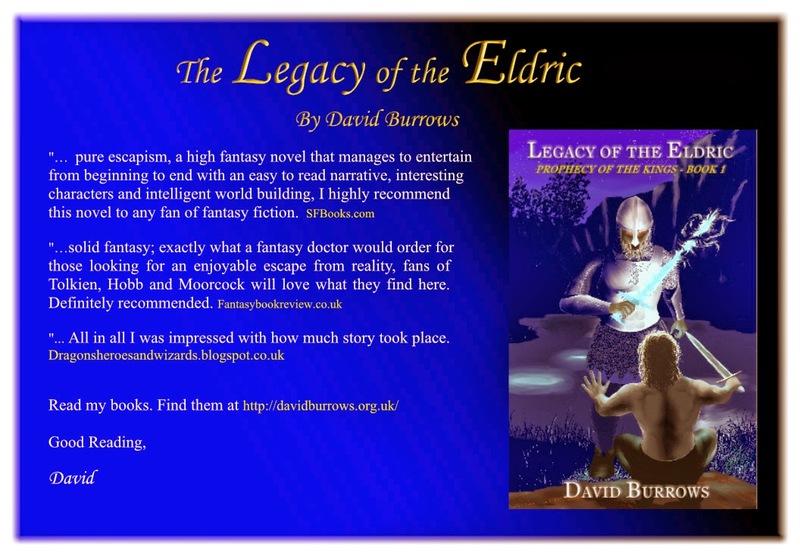 He sent a spear of light at the creature, but it simply bounced off a scale in a burst of blinding power that left Forfar gasping on the ground, rubbing his burning eyes. A woman was rent in two by a hurricane of talon and teeth and the dragon seemed to laugh as it carried the corpse back into the air, out of reach of the Eldric spells, where it devoured the woman in sight of them all. Then the creature roared and swept down. Most of the Eldric scurried away to avoid the bulk of the beast, but one man was flattened by the flailing muscles and tail as it snapped and jerked its head round, attempting to slay all those around it. The sorceress ducked beneath a splash of flame and ran towards Forfar. The dragon flew low, spewing flame and vitriol almost randomly in an attempt to kill them. It seemed to be toying with them, as though enjoying the sport. The dragon was hovering high in the air, as though debating which of them to kill next. Forfar and Shatha cast their spells and a lake formed beneath the dragon. “Now!” Forfar screamed at the others. He watched them casting their spell, his heart in his throat and fear in his belly. Would his plan work? The dragon screamed as it plummeted down. With a splash that sent water cascading all around them, it fell deep into the magical lake. Forfar snapped off his spell. “Release your spell,” he screamed at Shatha, which she did; only too glad to cut off the spell. Forfar cast a spell to hurry the freezing process. The lake froze instantly. Forfar waited. He wasn’t sure if it would work and the dragon would be trapped and he feared that it would somehow escape. When nothing happened he timidly walked out onto the ice, staring down beneath his feet. The others called to him, their voices sounding shocked and afraid. Then he saw it; an indistinct shape tens of feet beneath him. Trapped in the ice, its body had contorted as it had tried to right itself. Its great wings had spread uselessly about its body as they fought against the water, suddenly locked in the ice’s hard embrace. Even the dragon’s great maw was trapped shut. Tons of ice pressed down on it, sealing its fate. The others gathered around Forfar. They looked pale and shocked by what had happened. He glanced around to seek out the wounded. He should have realised not to bother. Dragons didn’t wound, it seemed. The bodies of the four dead spellcasters were torn to shreds, their dismembered parts cast across a wide area. Snow had turned red, marking the points where limbs had been strewn. It had taken only moments, but the dragon had killed four of their number. “There is no help to be had from the dragon world,” Forfar exclaimed. “I would prefer to face demons,” said another. “Come, we must leave. There is no point remaining here,” Forfar said, looking to the sky, which had turned a leaden grey. He had to report to the king that yet another avenue of hope was closed to them. It was a meeting that he was dreading. With heavy hearts the small group turned their backs on the dragon’s tomb, and retraced their steps down the mountain. This is pretty good artwork. I like the woodland setting and stream of light through the foliage. Nicely done. This would look good on the cover of book 2 of the Prophecy of the Kings. Have to change the rider to a bloke. I do like the sense of gliding this gives with a real sense it's about to plummet. Brilliant. Priests of Ryoch. Hardly priests at all, but trained in war and with a twist. Their link to their shaol has been strengtheend ny touching a particular kara-stone. Their shaol allows them to sense danger in the same way as we would envisage a sixth sense. Ryoch. An invention perhaps. A false god created by the enemy to conceal Drachar’s return and the fulfilment of the Prophecy. Shaol. A guardian spirit in the form of a sixth sense. For most people the link with their shaol is weak. You might experience a feeling of déjà vu. In some situations – an uncertain feeling of danger. A shaol is likely to be an ancestor, hence the link is going to be weak as it may be a distant great grandfather or such. The Royal Tax Collector decides to audit Grandpa, and summons him to the castle. Grandpa is well connected, so the Royal Tax Collector was not surprised when Grandpa showed up along with his Baron. The Tax Collector look down his nose at Grandpa and said, "Well, sir, you have an extravagant lifestyle and no full-time employment, Which you explain by saying that you win money gambling. I'm not sure the Tax Collector finds that believable." "I'm a great gambler, and I can prove it," says Grandpa. "How about a demonstration?" The Tax Collector thinks for a moment. "Okay. Go ahead." Grandpa says, "I'll bet you a thousand golds that I can bite my own eye." The Tax Collector thinks a moment and says, "It's a bet." The Tax Collector's jaw drops. Grandpa says, "Now, I'll bet you two thousand golds that I can bite my other eye." Now the Tax Collector can tell Grandpa isn't blind, so he takes the bet. The stunned Tax Collector now realizes he has wagered and lost three thousand golds, with Grandpa's Baron as a witness. He starts to get nervous. "Want to go double or nothing?" Grandpa asks "I'll bet you that I can stand on one side of your desk, and pee into that chamber pot on the other side, and never get a drop anywhere in between." The Tax Collector, twice burned, is cautious now. "Without moving the pot or the desk?" When Grandpa nods, the Tax Collector decides there's no way this old guy could possibly manage that stunt, so he agrees again. Grandpa stands beside the desk and unzips his pants, but although he strains mightily, he can't make the stream reach the chamberpot on the other side, so he pretty much urinates all over the Tax Collector's desk. The Tax Collector leaps with joy, realizing that he has just turned a major loss into a huge win. But Grandpa's Baron moans and puts his head in his hands. "Are you okay?" the Tax Collector asks. "Not really," says the Baron. "This morning, when Grandpa told me he'd been summoned for an audit, he bet me twenty-five thousand golds that he could come in here and pee all over your desk and that you'd be happy about it." Excellent artwork, beautifully done. My money is on the dragon! Kalanth. A demi-god from a bygone era. They were the shepherds of the early world, tending oceans and forests and perhaps preparing the way for man. Being demi-gods they were all powerful, but they do not exist at the time of the tales, except as a whisper upon the wind. Krell. These are the enemies ground troops. Numerous in the Krell Wars but their numbers dwindled after this monumental event. Still live in the isolated regions of the world, the mountains and the forests. There were three guys and a dragon . The dragon said, "I am going to eat you. The first guy said, "No, let's make a deal." The dragon said ,"O.K. what kind of deal?" The second guy said, "If we each tell you something that we think you can't do, and you can do all of it, you may eat us." The dragon agreed to the deal. So the first guy said, "Go to the barn, eat 16 rooms of hay,". The dragon did it. The second guy said, "Drink half of the ocean water." The dragon succeeded in doing this, also. The third guy burped, and said, "Catch it and paint it green." The three guys lived happily ever after!